The technology behind wireless charging (also known as inductive charging) is certainly intriguing and has a "new-age" feel to it but it's actually not a new technology! Inventor Nikola Tesla was the first to demonstrate wireless power transmission in 1891, when he succeeded in lighting electric lamps without wire. Electric toothbrushes have also been using the wireless charging technology since their inception in the 1960's. The basic working of wireless charging involves coupling a device to a dock (or base) and have the base transmit energy to the receiving device. As an alternating current is passed through the transmitter coil of the base, it generates a magnetic field which passes through the receiver coil of the device and thus, charging the receiver (or device). The beauty of the wireless charging technology is that it's easy to use, though wireless charging isn't quick charging nor efficient because wireless charging isn't the most efficient way to transfer power and that is why wireless charging takes longer than traditional charging. 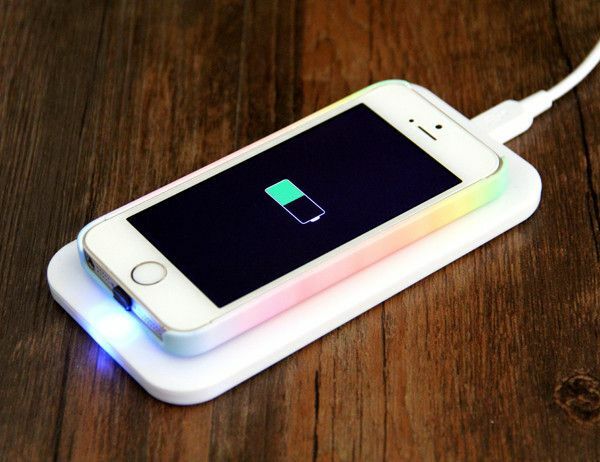 Wireless charging works the same way with smartphones, as in the coil in the phone is connected to the battery charging circuit, and the battery is charged using the energy induced in the magnetic field. What is the Wireless Charging Standard? Qi (Wireless Power Consortium) is the main inductive power standard, though it isn't the only wireless charging standard. There are two other main ones which include Alliance for Wireless Power (A4WP) and Power Matters Alliance (PMA). While the same wireless charging technology applies to PMA, A4WP and Qi, the different standards means they are not compatible, though the Galaxy S6 and Galaxy S6 edge are the only exception to this rule as they include both Qi and PMA standards. Google currently backs PMA wireless charging standard technology. However, Google’s own Nexus 4 and its wireless charger use the Qi standard because it’s manufactured by LG. However, LG has also now joined the PMA wireless charging standard. Qi and PMA are the most popular wireless charging standard. HTC Droid DNA, Nokia Lumia 920 and Lumia 820, and Apple iPhone 5. Saying this, the Apple iPhone 5 wireless charging is not included in the iPhone 5, but you can buy a PMA case that adds wireless charging capability to your iPhone. All of the above smartphones use the Qi standard, except from the Apple iPhone 5 case made by PMA, which uses Powermat’s own standard.